2019 Triumph Street Twin, Street Scrambler, Speed Twin, Scrambler 1200 XC and Scrambler 1200 XE Have Arrived! 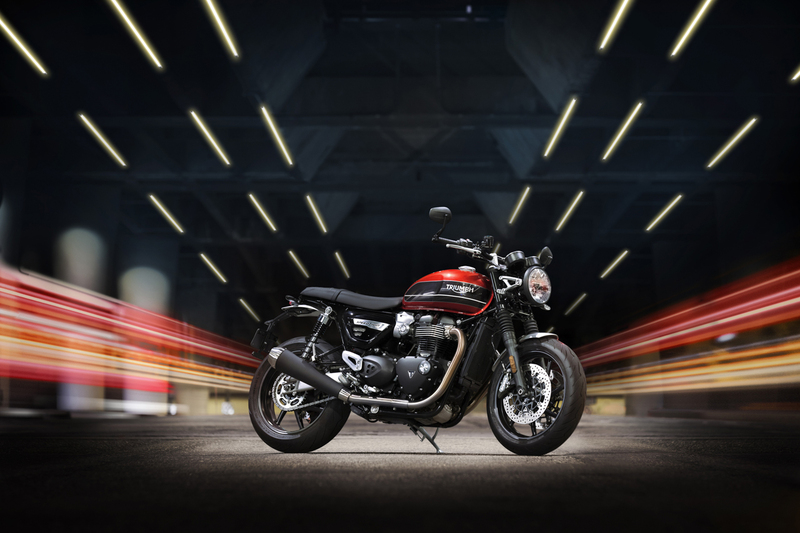 Triumph Motorcycles Malaysia launched the 2019 Triumph Street Twin, Street Scrambler, Speed Twin, Scrambler 1200 XC and Scrambler 1200 XE tonight. 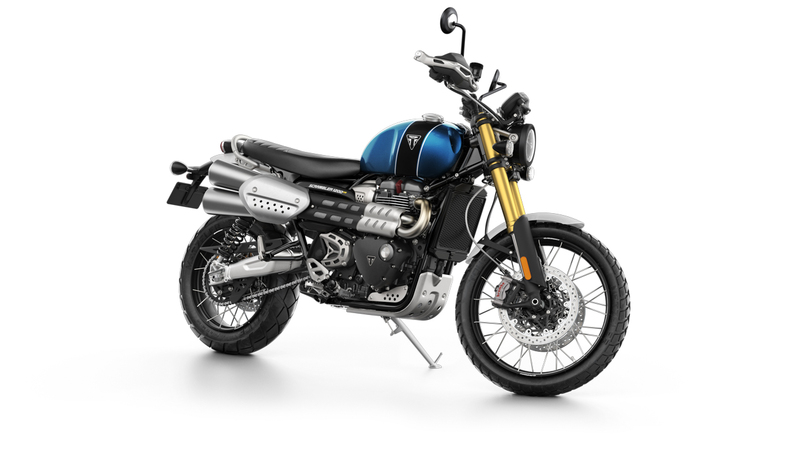 The Scrambler 1200 XC and XE variants are all-new. Other models are very much updated. Triumph Motorcycles Malaysia launched the 2019 Triumph Street Twin, Street Scrambler, Speed Twin, Scrambler 1200 XC and Scrambler 1200 XE tonight. 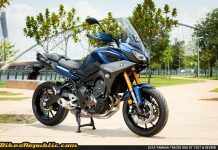 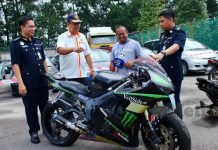 Prices range from RM 55,900 to RM 86,900. The Street Twin has enjoyed continued popularity since its launch in 2016. Being the most “contemporary” model in the Bonneville line-up means it’s the most sought after to play the role of a built platform. Yet, it is just as beautiful and unpretentious in its unmistakable Bonneville silhouette. 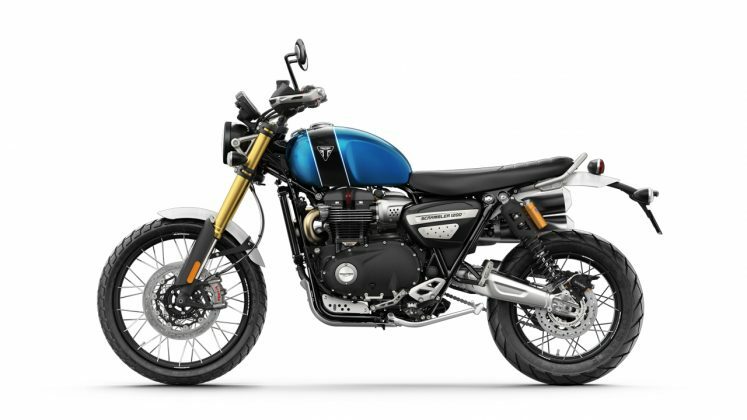 For 2019, Triumph has updated the Street Twin to turn into a class leader. 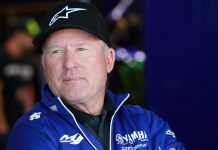 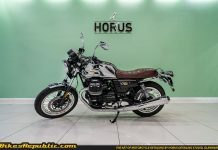 Starting with the 900cc, 270o crank, DOHC, parallel-Twin which delivers a peak power of 65 PS at 7,500 RPM, while the maximum torque of 80 Nm is already available from 3,800 RPM. That’s a an increase of 18% in terms of power which equates to 10 PS. 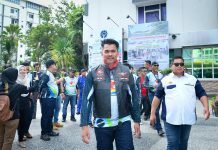 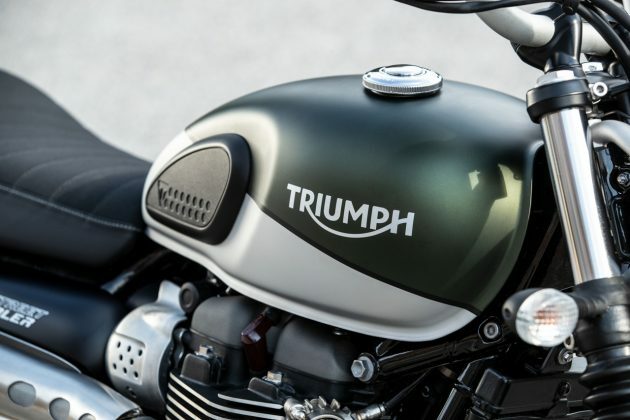 Next, Triumph endowed the bike with dynamic handling, exceptional rider and pillion comfort, besides higher level of specification for greater control and improved ride. 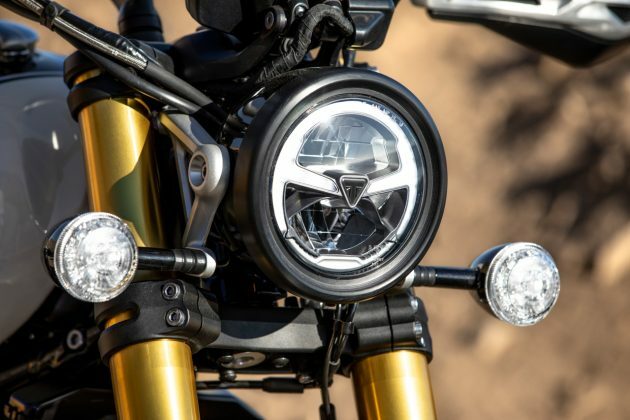 Now, there is a new 4-piston Brembo caliper up front for greater stopping power and rider control. 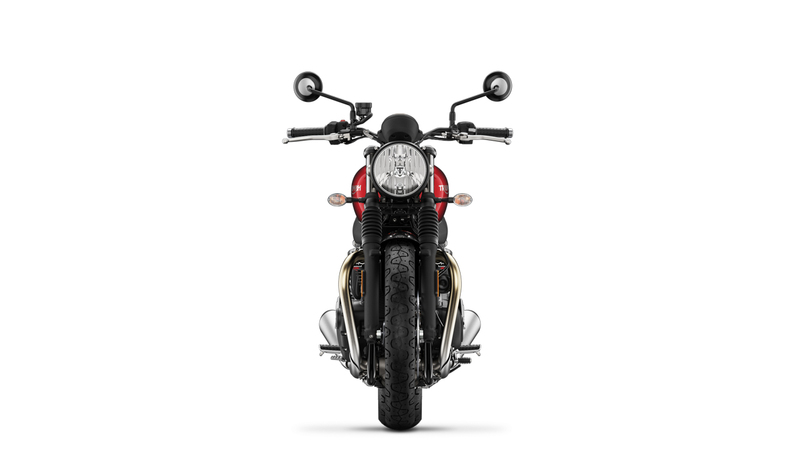 The forks, too, have been updated to cartridge type. 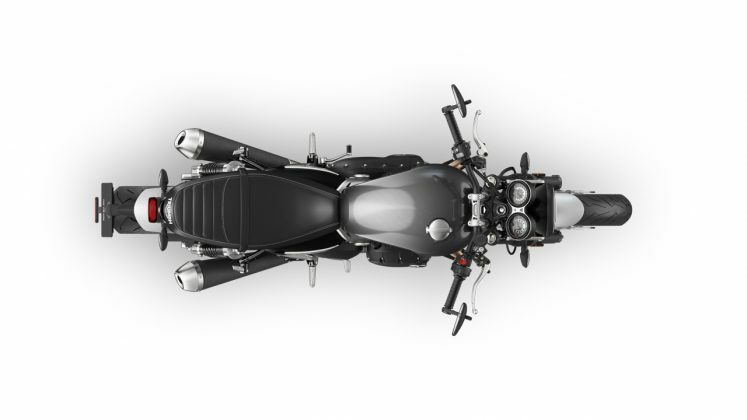 New Road and Rain riding modes for the optimum throttle map in all riding conditions. 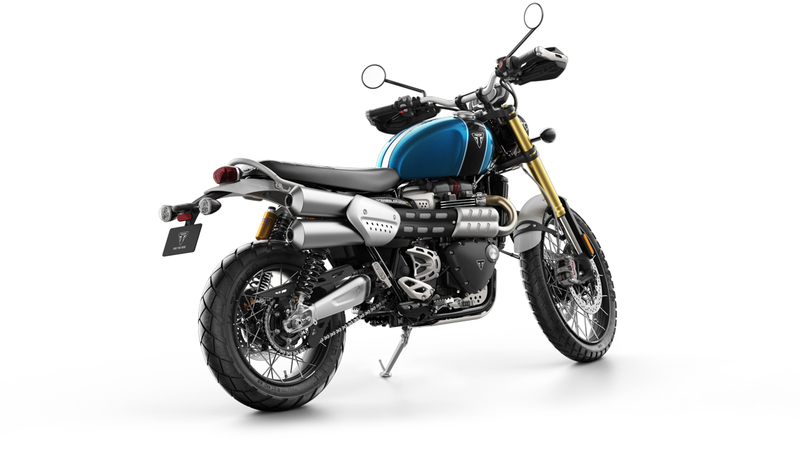 Switchable traction control for the rider to choose optimum level of traction management for different riding conditions. 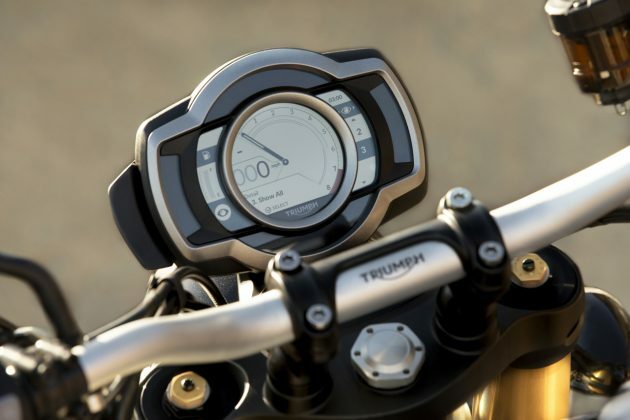 New Tyre Pressure Monitoring System (TPMS) as an accessory lets the rider monitor his tyre pressures for safety and confidence. 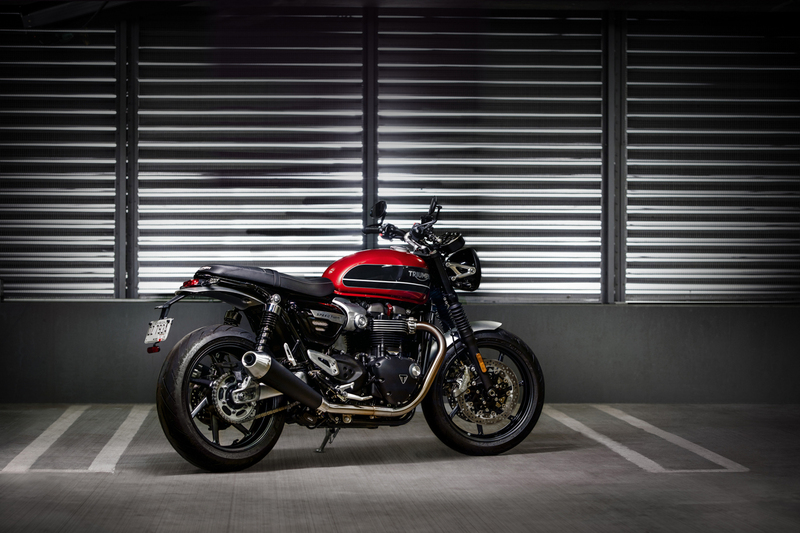 The 2019 Street Twin is offered in Matt Ironstone, Korosi Red and Jet Black. 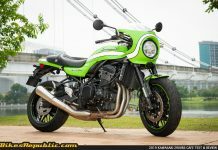 This is one of BikesRepublic.com’s favourite bikes. 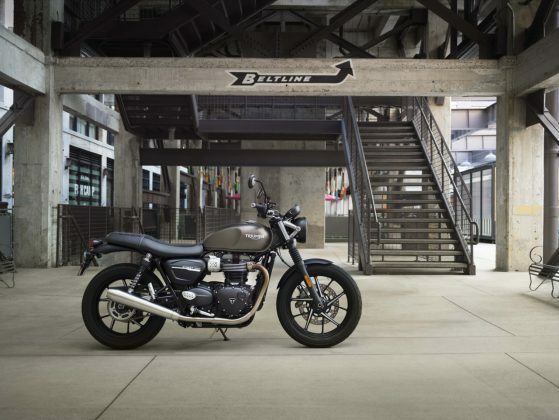 Fun, easy to handle, full of character, and high-mounted exhaust pipes that garner as much attention as the bike itself (they won’t scald your and passenger’s thighs, we assure you). 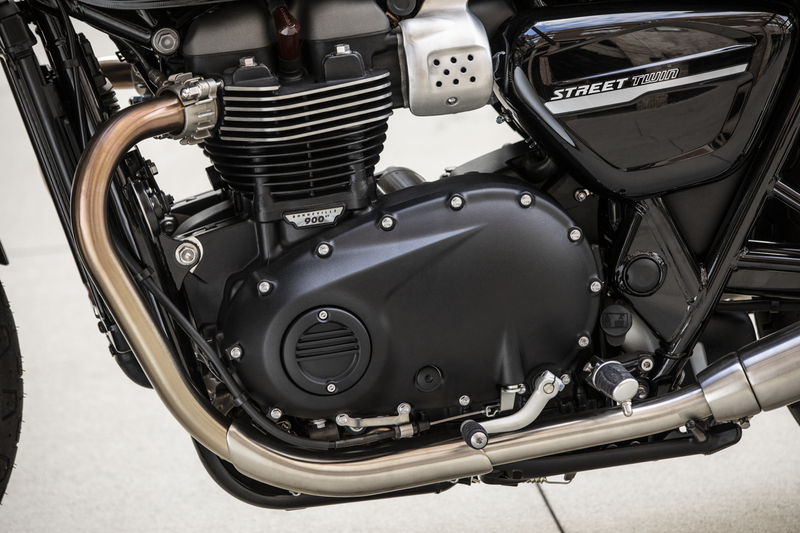 As it shares the Street Twin’s engine, peak power is up to 65 PS and torque hikes up to 80 Nm. 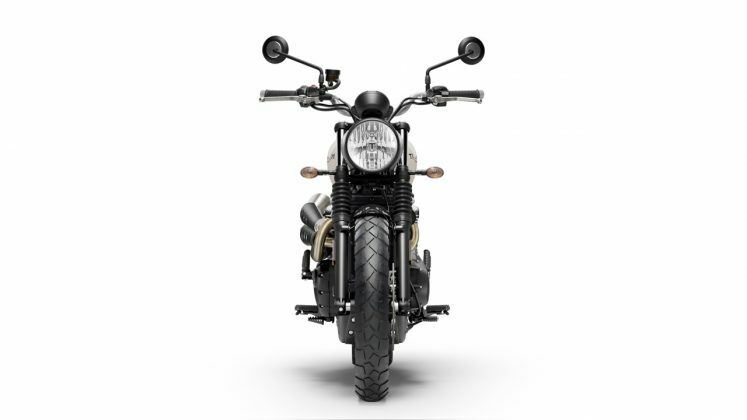 Additionally, other highlights are the same, except for the rolling chassis. 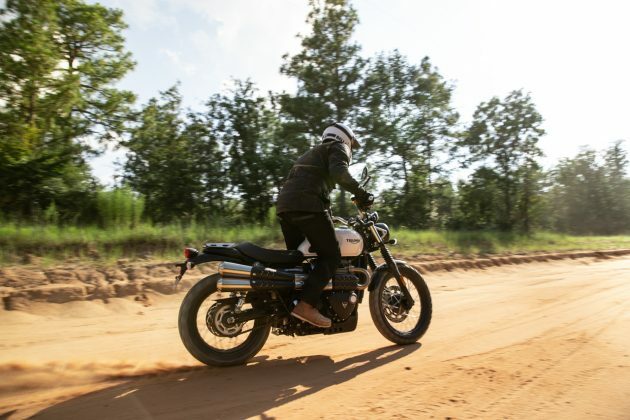 The forks are spaced wider for better control when riding off-road. 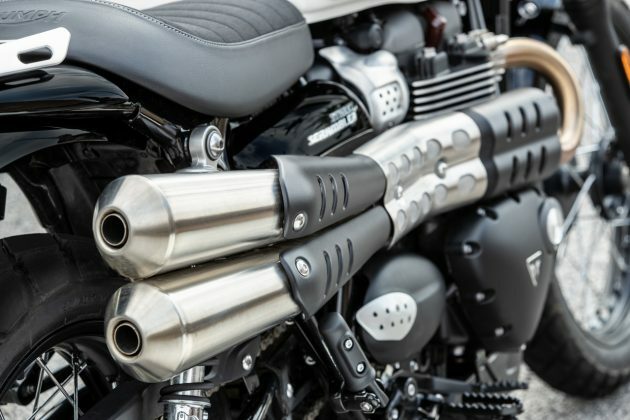 They are cartridge forks, as well. 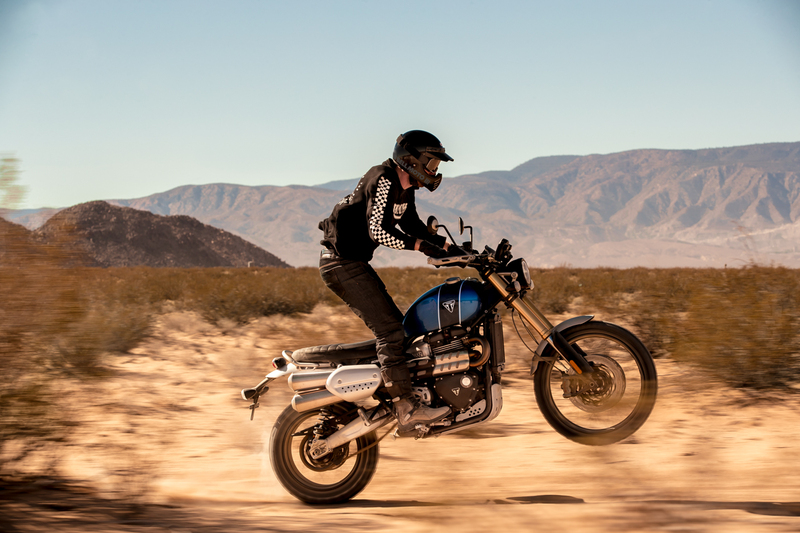 As for electronics, the 2019 Street Scrambler now features an off-road mode, in addition to Road and Rain. 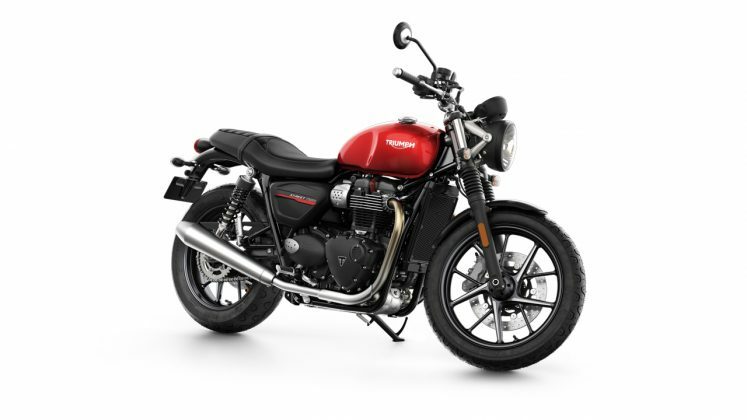 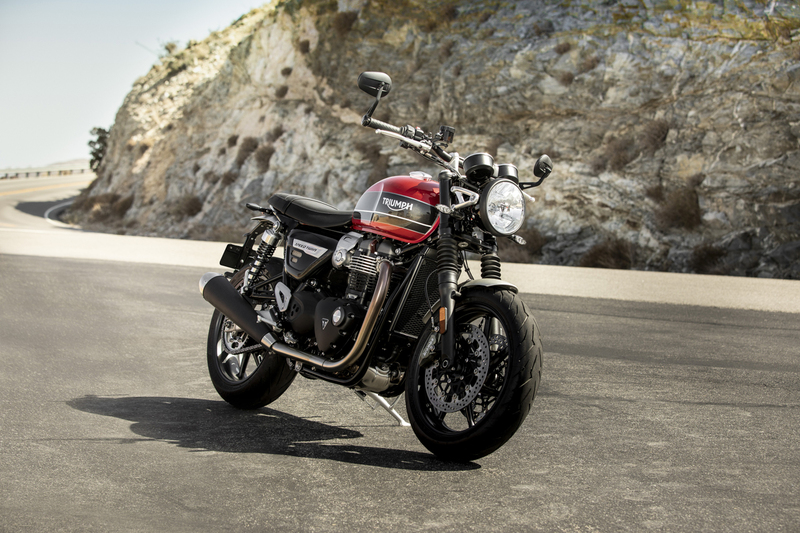 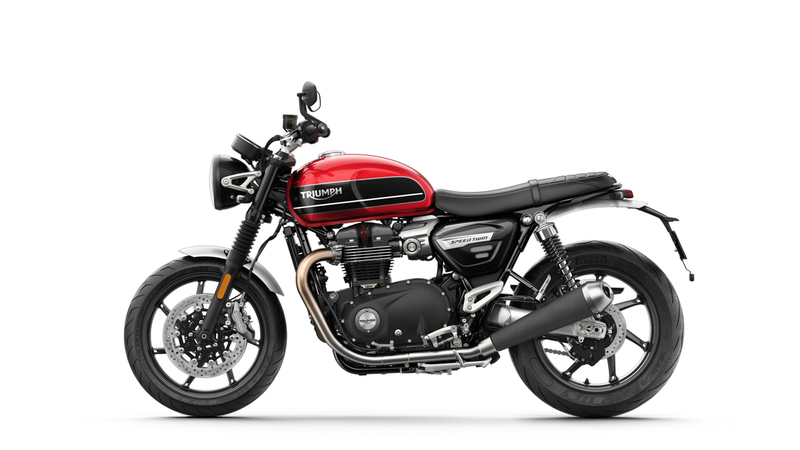 The 2019 Triumph Street Scrambler is available in Fusion White, Cranberry Red and Khaki Green. 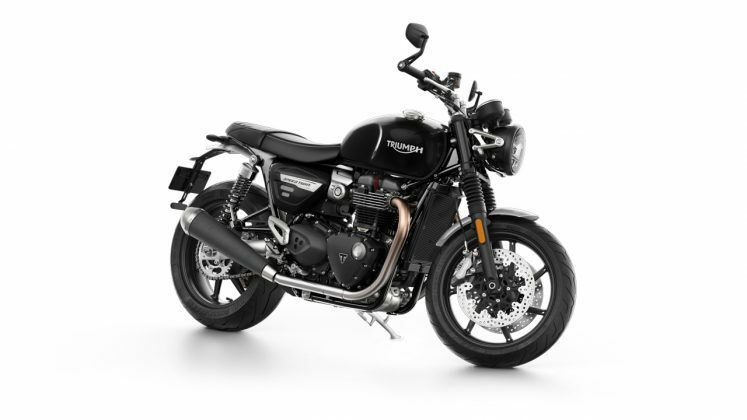 It may be easy to pass it off as a basic Thruxton, but that’s oversimplifying the model description. 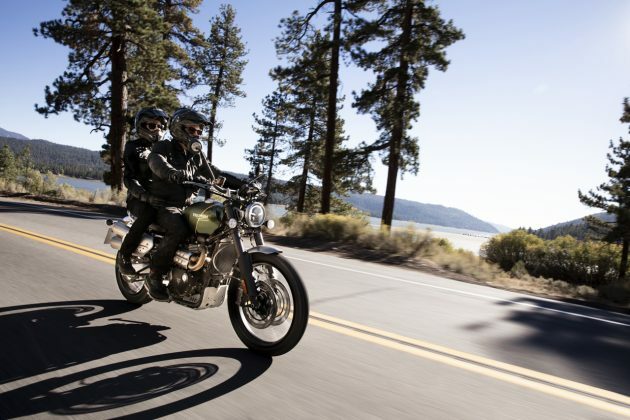 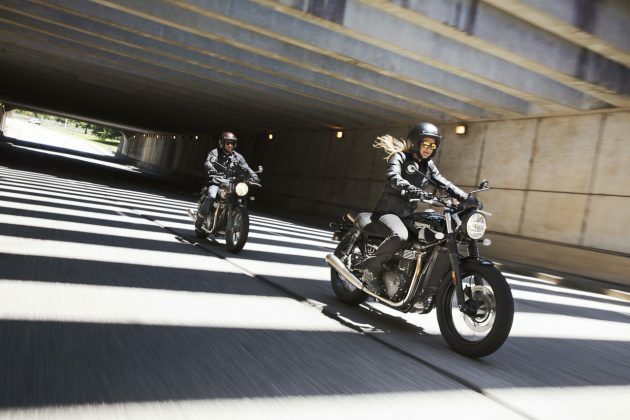 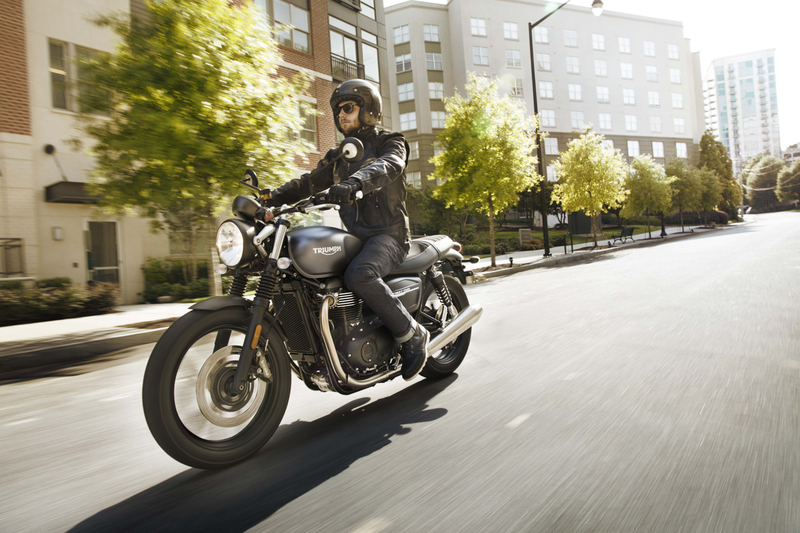 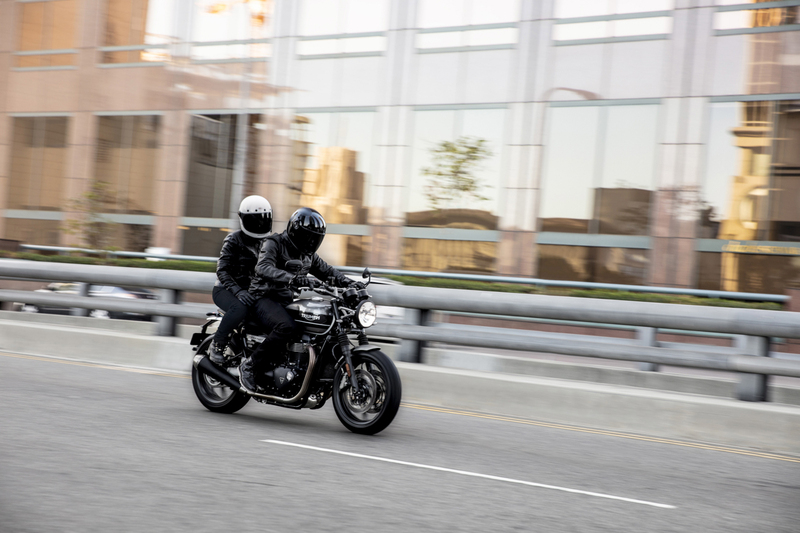 As Triumph puts it, the Speed Twin “delivers comfort engaged with roadster ergonomics,” the riding position is adjusted for more comfort and straighter riding compared to the Thruxton’s café racer’s ergonomics. The suspension consists high-specification cartridge forks and rear shocks that are adjustable for preload. 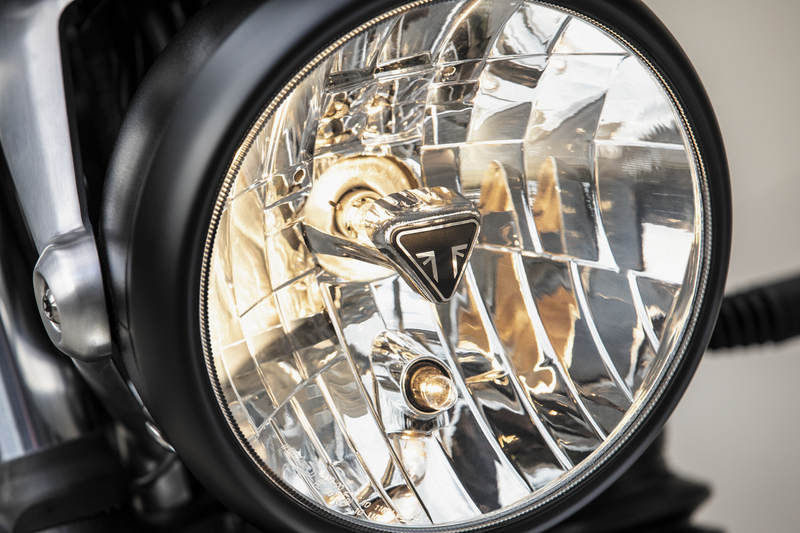 Brakes are handled by dual 4-piston Brembo calipers that bite on dual discs. The engine is the High-Power (HP) unit with the Thruxton’s racing tune. As such, it produces 97 PS at 6,750 RPM and 112 NM of torque at 4,950 RPM. That’s 49% and 40% more than the 2018 model, respectively. As for the electronics suite, there are three modes: Sport, Road and Rain. It is offered in three colours: Silver Ice and Storm Grey, Korosi Red and Storm Grey, and Jet Black. 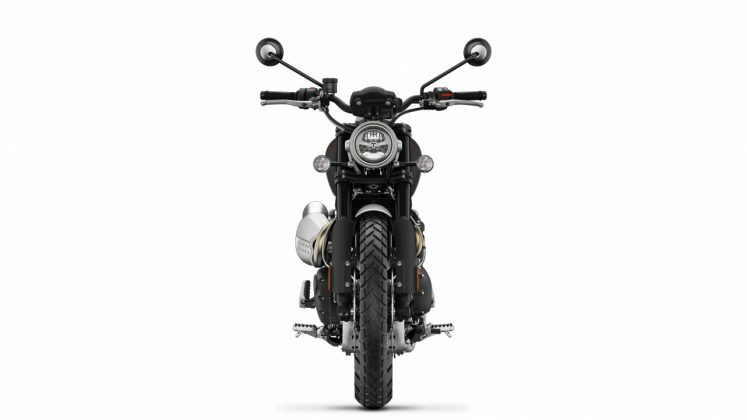 However, to refresh, these two bikes are the most off-road capable scramblers in the market. 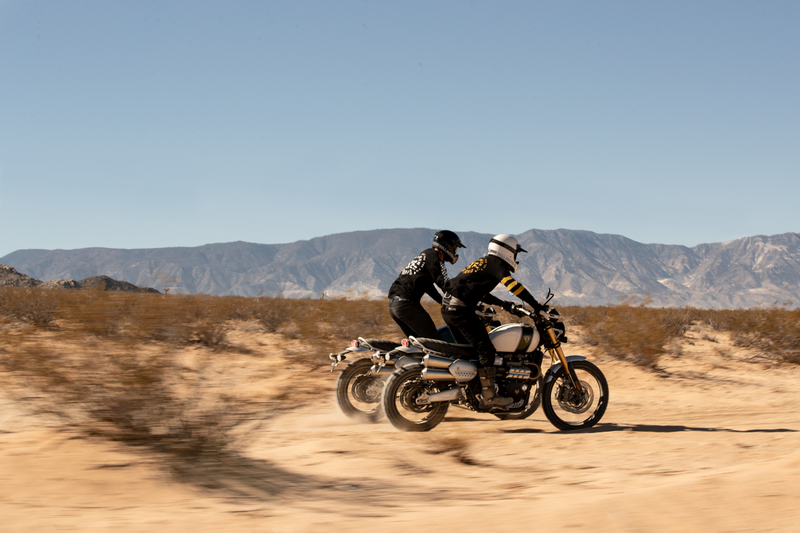 Triumph wanted to draw on the inspiration of their exploits in the off-road racing scene, specifically to when Steve McQueen and Bud Ekins rode their Triumph TR6 Trophy to multiple victories in the grueling Baja 500 desert rally. 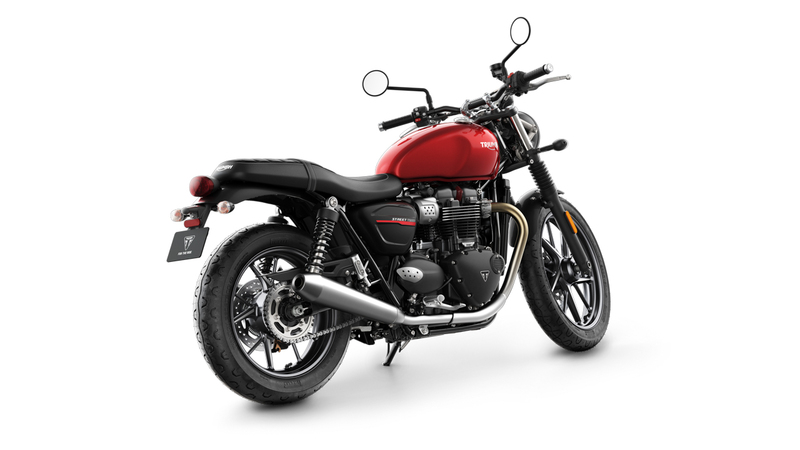 But it isn’t just a Bonneville with long-travel suspension. Triumph engineered it from the contact patch up. 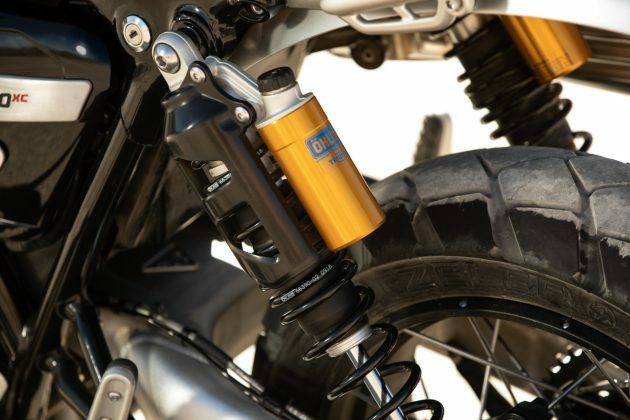 Both variants utilize fully-adjustable Öhlins rear shocks with piggy reservoirs. 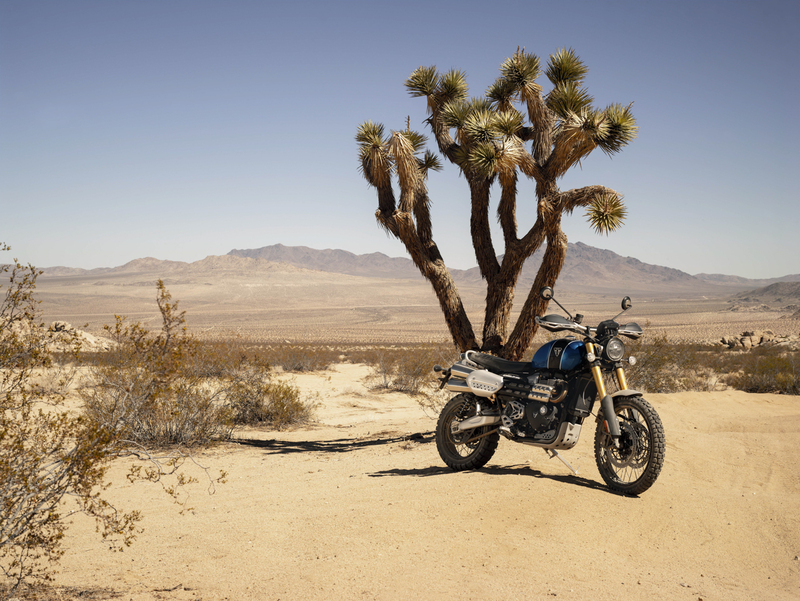 The XC’s shocks provide 200mm of travel. The XE’s on the other hand, provide 250mm of travel. 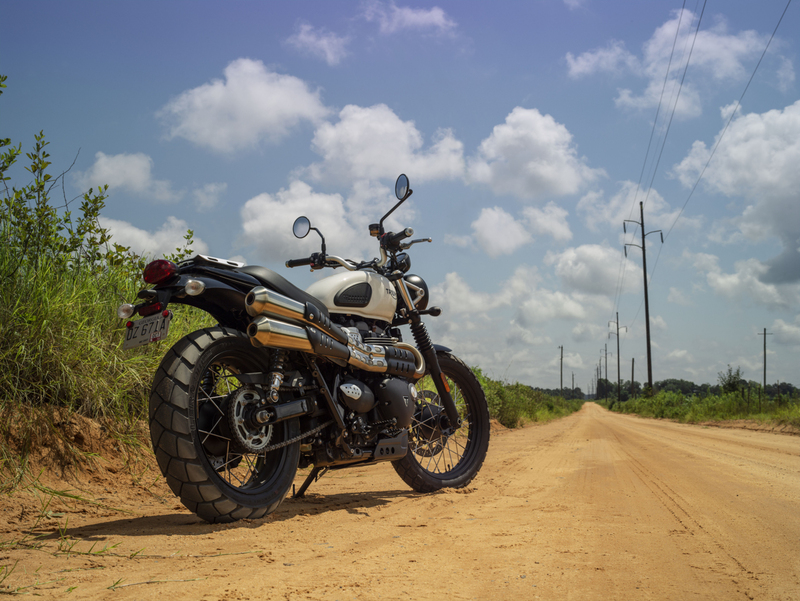 As such, while both variants are fully off-road capable, the XC variant is biased more towards road riding, while the XE is for extreme off-roading. The engine is derived from the High-Power version found on the Thruxton. 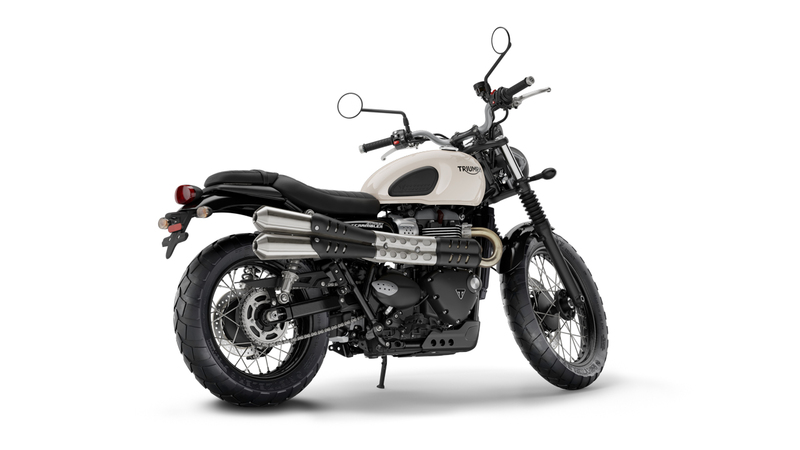 However, it has a “Scrambler tune” for a flatter and fatter torque curve. 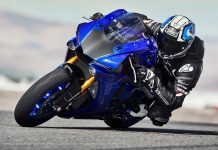 It produces 90 PS at 7,400 RPM and 110 Nm at a low 3,950 RPM. 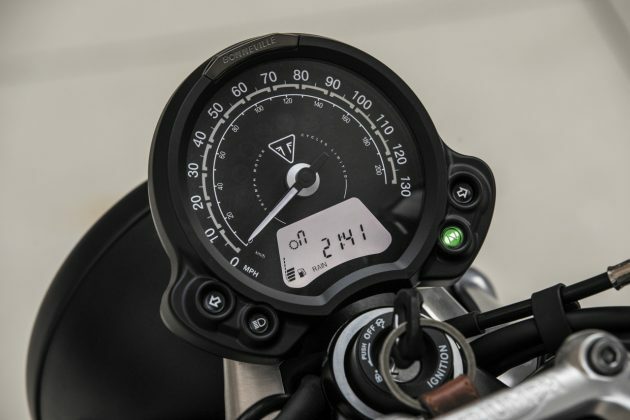 2ndgeneration TFT instrumentation.Housed in the classic-looking nacelle is a truly modern TFT display, which is fully customizable. 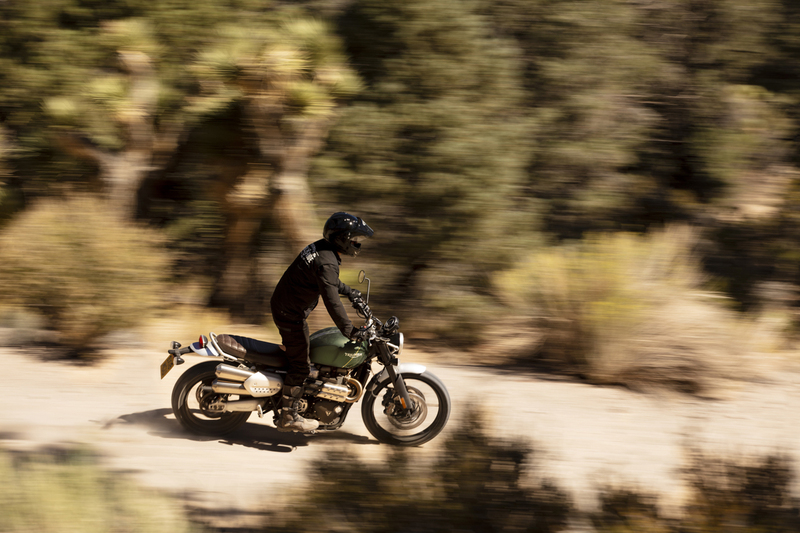 Up to 6 riding modes.Both XC and XE feature Sport, Road, Rain, Off-road, and rider customizable. 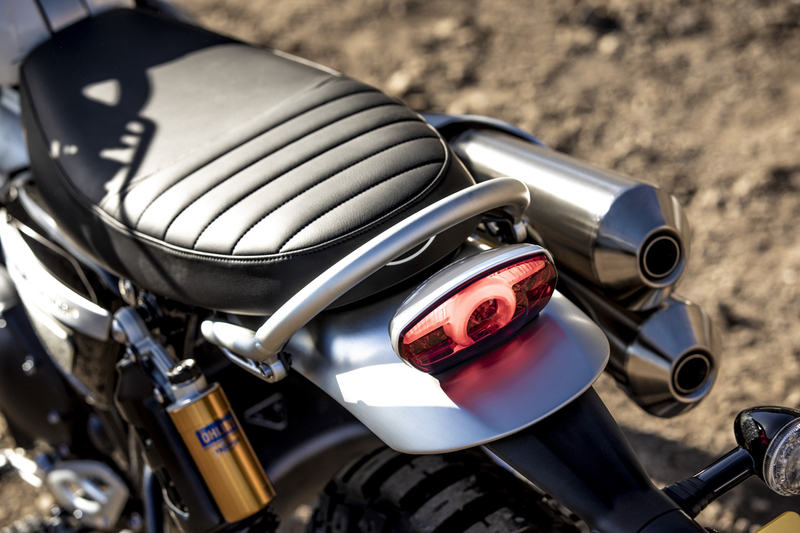 However, the XE has an extra Off-road Pro mode. 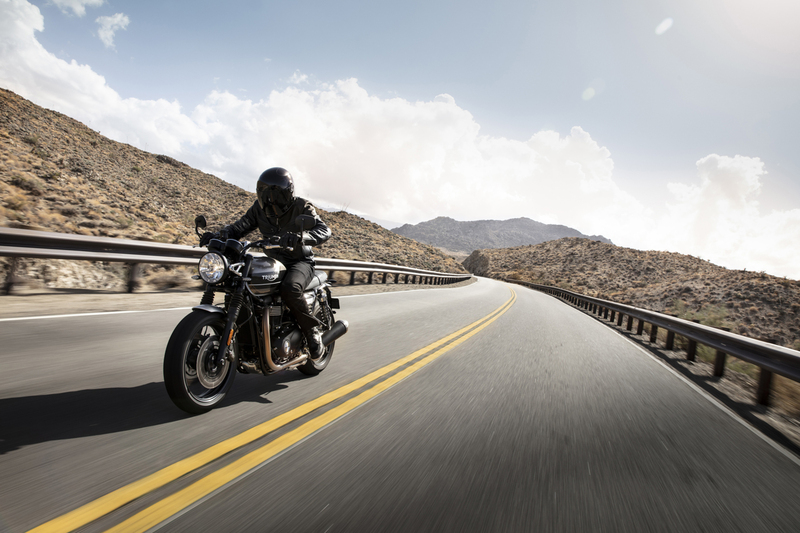 Optimized Cornering ABS.The XE uses a Continental IMU (Inertial Measurement Unit) to provide the data for lean-angle-sensitive Cornering ABS. 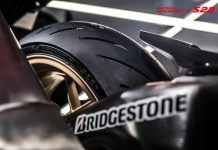 It means that the ABS system knows how much pressure and slip to apply depending when you are leaned over in a corner. 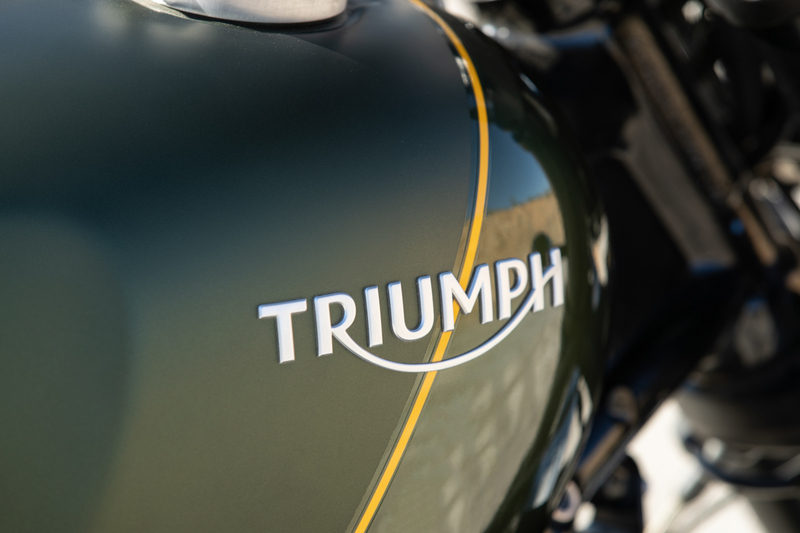 Optimized Cornering Traction Control.The IMU also enables lean-sensitive traction control. World’s first integrated GoPro control system. 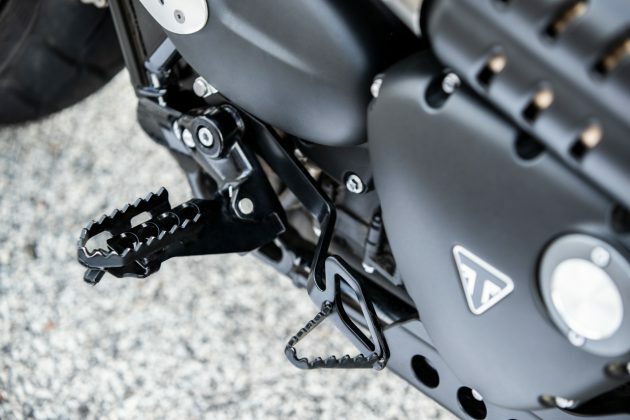 This is an option which allows the rider direct control of his GoPro camera with taking his hand off the handlebar. 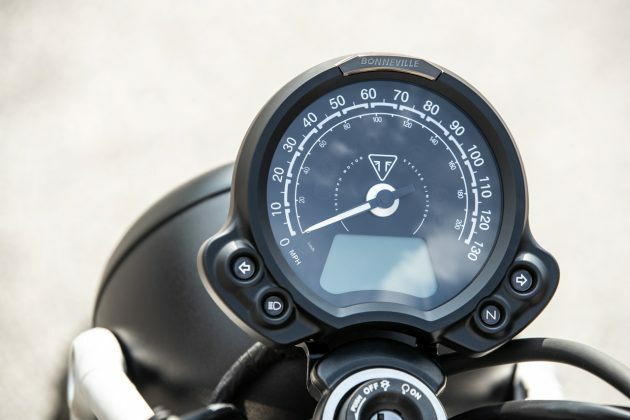 It also means that the rider doesn’t have to second guess if the camera is turned on or off! 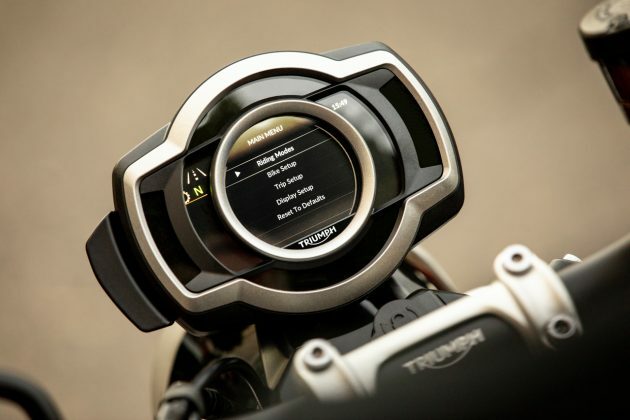 Turn-by-turn navigation system.Navigation system powered by Google. Fitted with the Bluetooth connectivity option, the direction to the desired is showed in the TFT display. 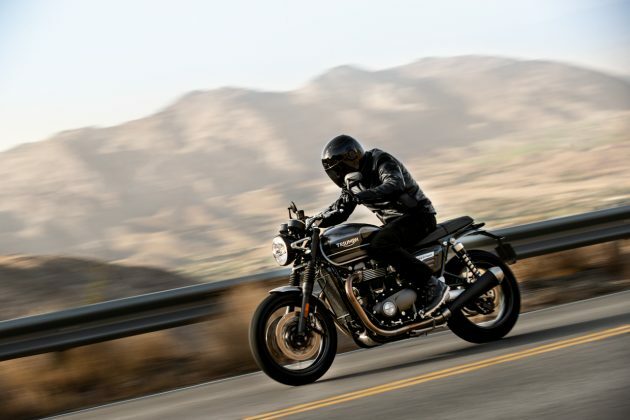 Besides that, the rider also has a route planner and points of interest at his disposal. 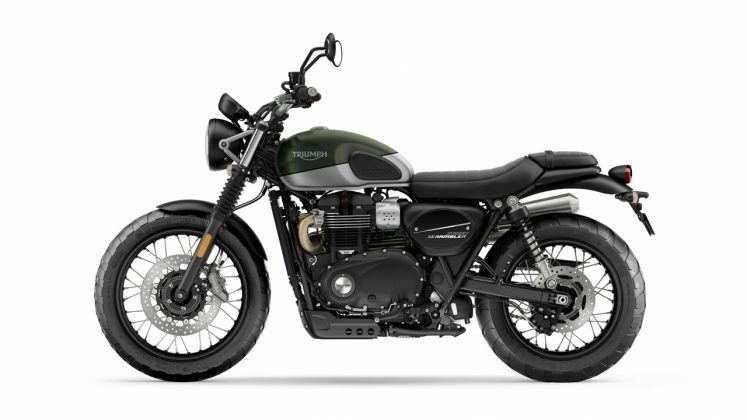 The Scrambler 1200 XC is offered in Jet Black and Matt Black; Khaki Green; and Brooklands Green. The Scrambler 1200 XE is offered in Fusion White and Brooklands Green; Cobalt Blue and Jet Black.